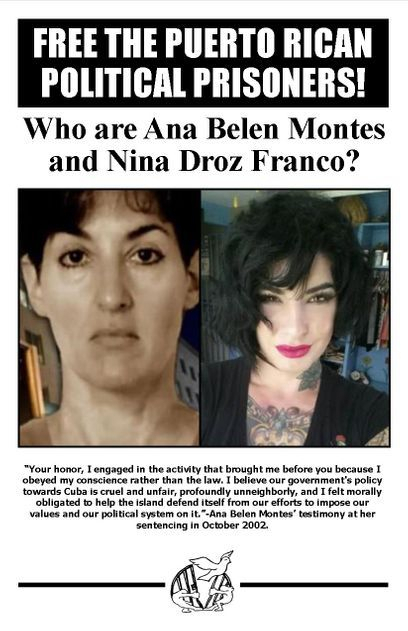 FREE ANA BELEN MONTES and NINA DROZ FRANCO! U.N. Campaign for Ana Belen! What is The ProLibertad Freedom Campaign? 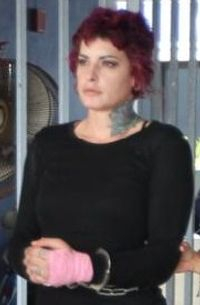 The ProLibertad Freedom Campaign is an organization composed of individuals who work together on a broad and unitary basis, accepting differences of ideological and political position, but sharing the responsibility to support the Puerto Rican political prisoners and prisoners of conscience who have been imprisoned for their political convictions and activities. The ProLibertad Freedom Campaign is an anti-imperialist and anti-colonial campaign that also supports the release of all U.S. political prisoners, and completely opposes the United States' colonial control of Puerto Rico and its military presence in the Island municipality of Vieques, and all Puerto Rico. Through a comprehensive regimen of public educational programs and events, ongoing lobbying efforts, public pressure work and related initiatives like this web site and El Coqui Libre, ProLibertad's newsletter, it is out goal to secure the freedom of these brave activists and humanitarians.